Walk within the walled city. 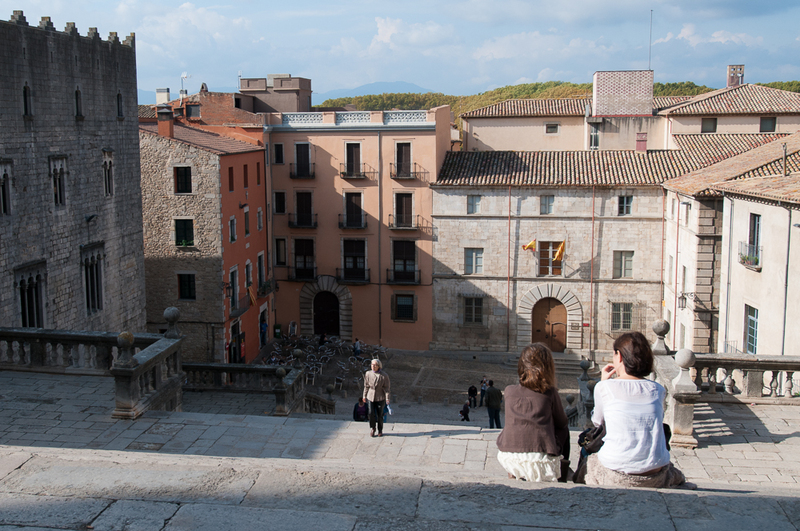 Girona is proof that Catalonia isn't a one-trick pony. Both the name of the province and it's capital city, Girona is home to the quirky history of Salvador Dalí, the trademark bridges of Besalu, the rugged-but-beautiful Costa Brava seashore, and, of course, the history-laden corners of the region's most popular city, Girona. Nestled in the foothills of the Pyrenees, the city gives a sentimental nod to the skyscraping peaks beyond it and the rich Jewish, Arab and medieval history within its ancient city walls. Gustav Eiffel's iron bridge (yes, that Eiffel) links modern Girona to the Old City, a fitting metaphor for visitors who venture to Girona to escape big-city crowds and experience Catalonia's rugged interior. Quaint cobblestone roads lead you along time-worn paths once walked by Moors, Goths and a thriving Jewish community. 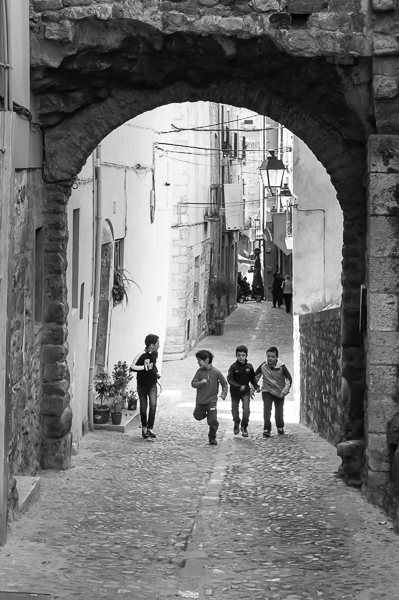 Narrow walkways offer a comforting embrace as you explore the maze the Old City's neighborhoods. A lazy river winds through tightly-packed apartment buildings that stand like brightly-dressed spectators along the water's path. An ancient medieval fortress still watches over the town like a protective mother. 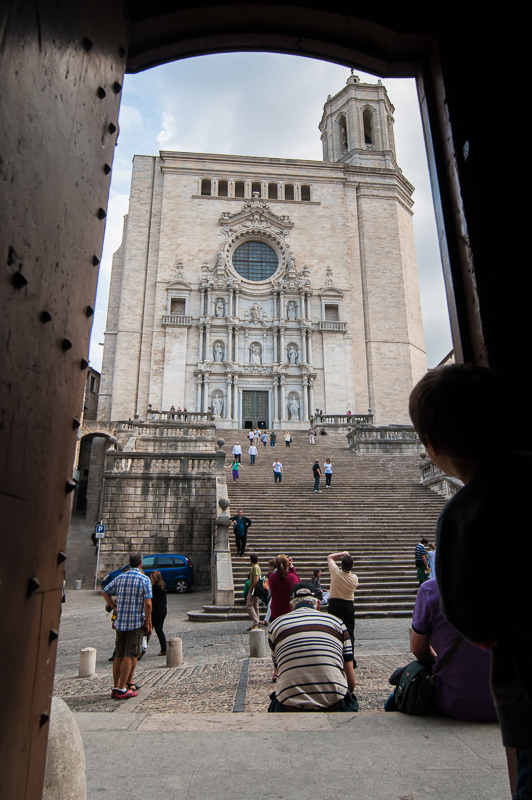 Girona packs an amazing cultural and historical punch for its relatively small size: about 100,000 people compared to Barcelona's 1.5 million. Walk atop the Old City´s medieval walls, where you can look down on the city and imagine what life was like hundreds of years ago. 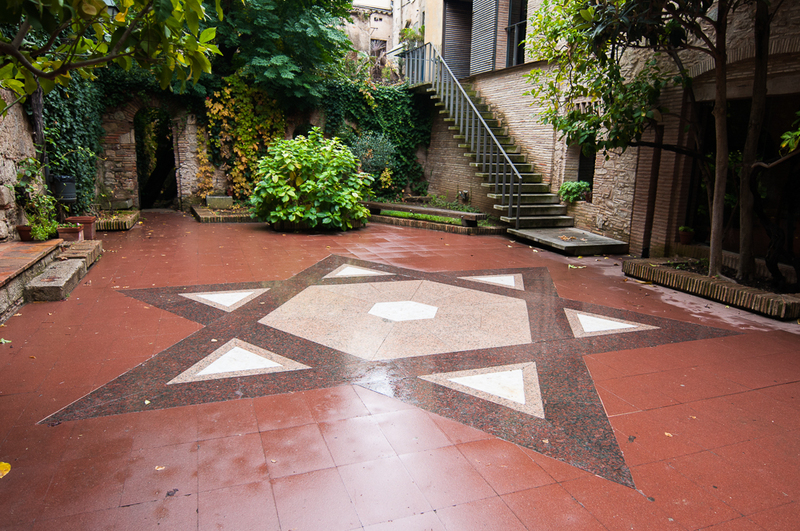 The Museum of Jewish History explores the legacy of the Jewish neighborhood, known as The Call, that thrived in Girona for hundreds of years. Arab (Moor) baths dating back to the 12th century give you a first-hand view of what a slice of domestic life was like for the Moors. Like nearly every Catalonian city, Girona loves a good parade: festivals celebrating religious holidays, culinary traditions, Roman history and the arts speckle the yearly calendar. We also love Girona's location, which affords you spectacular views of the Pyrenees and the surrounding countryside that make the city a unique destination for a private shore excursion. 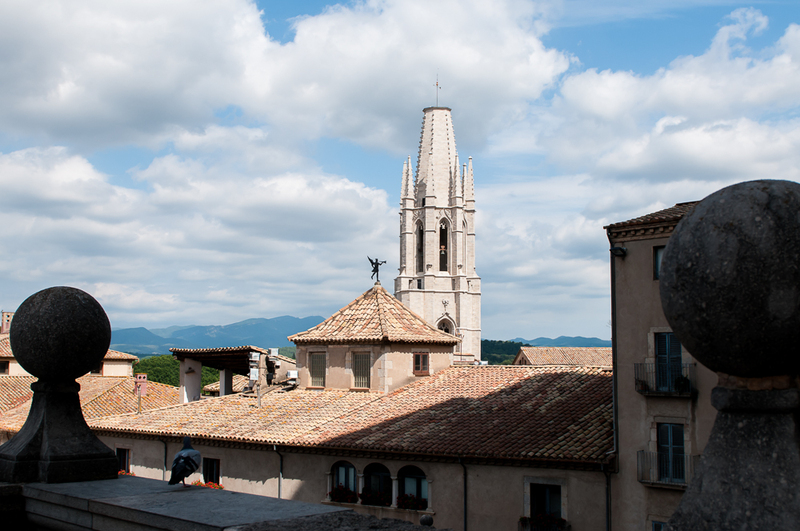 Like much of Spain, Girona's history is a fascinating and often tumultuous mix of conflict and conquering. The French, Romans, Visigoths and Moors fought over Girona at one time or another for centuries, while a small-but-stout Jewish community carved out a niche for more than 600 years. 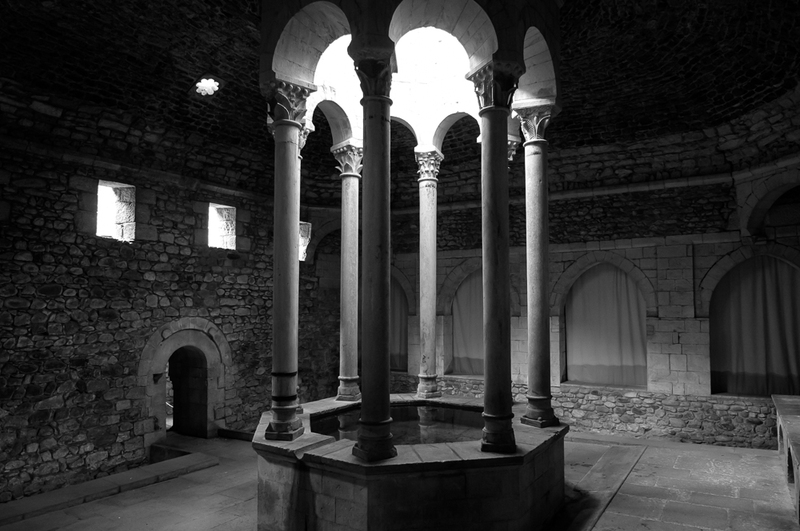 During its Roman years, Girona was known as Gerunda. After withstanding five attacks by the French in 1809, the city earned the nickname, "Immortal." Girona wears her history well, though. 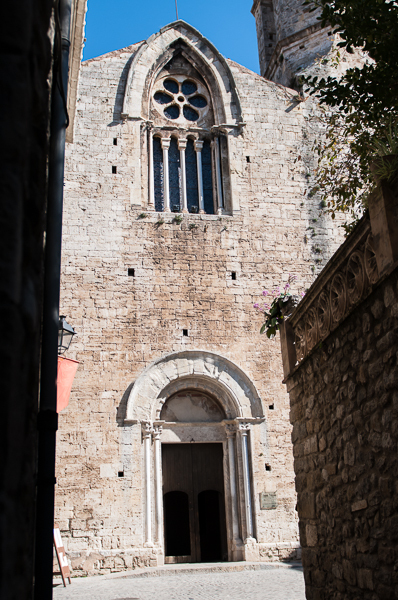 The modern Girona is a rustic mix of medieval, Arabic and Jewish architecture. 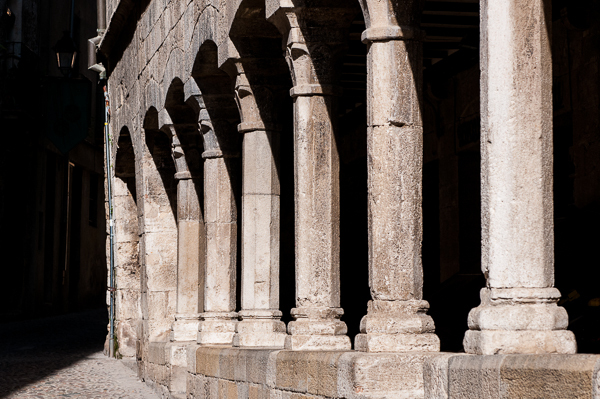 The well-preserved Jewish and Gothic quarters still stand, offering a tangible journey into the city's storied past. 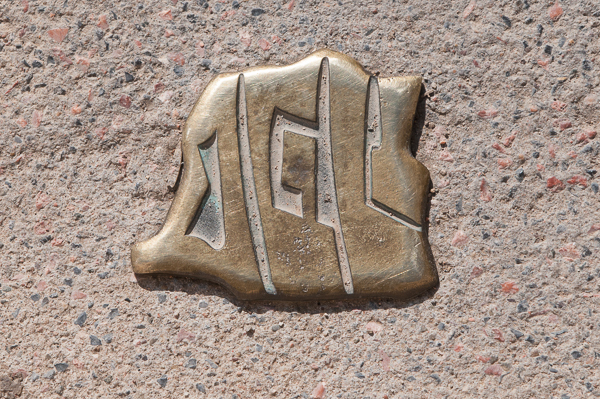 A ruler named Wilfred the Hairy incorporated Girona under Barcelona's regional umbrella in the late 800's. 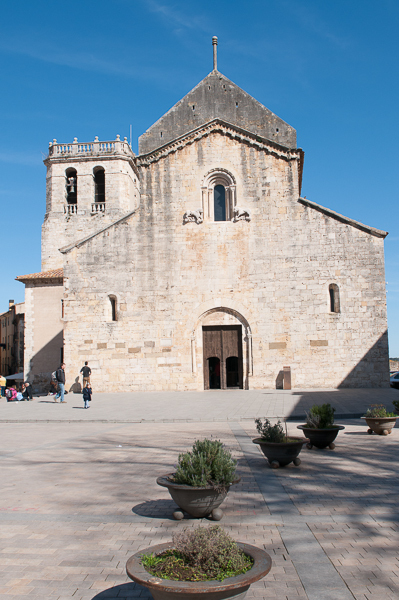 The city is the seat of the Girona province, one of four provinces in Catalonia. The city's Jewish Quarter was once home to one of the most famous Kabbalistic (mystic Judaism) schools in Europe. Spanish architect Rafael Maso designed several art nouveau buildings in Girona. Professional cyclists training for the Tour de France have been known to live in the city because of its proximity to the steep roads of the Pyrenees mountains. 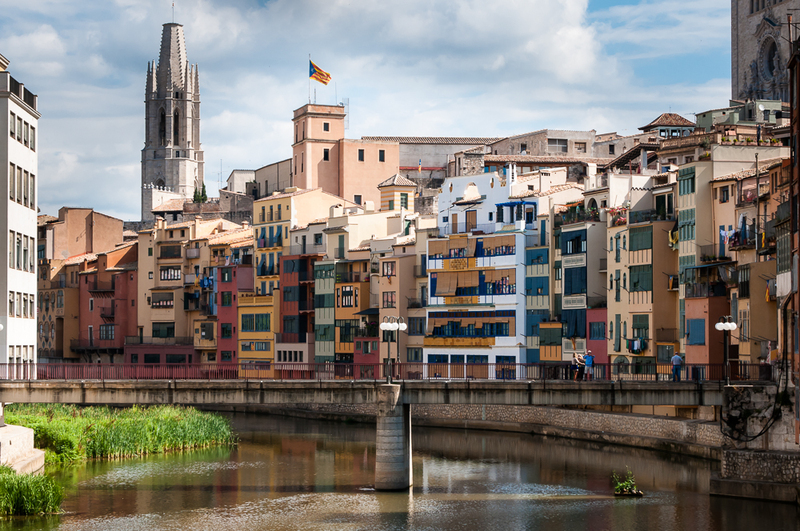 Four rivers meet in Girona: the Ter, the Guell, the Galligans and the Onyar. 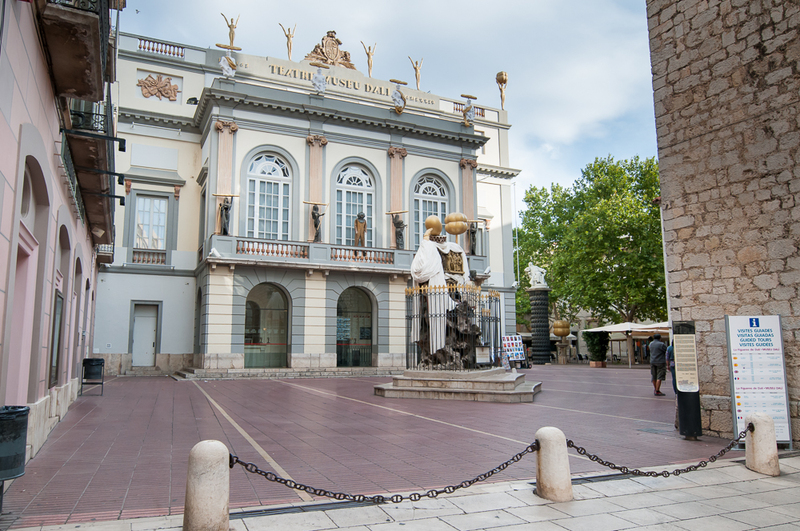 A Dali tour: Spend half a day in Girona, then head north to Figueres to visit the Dali Theatre-Museum. 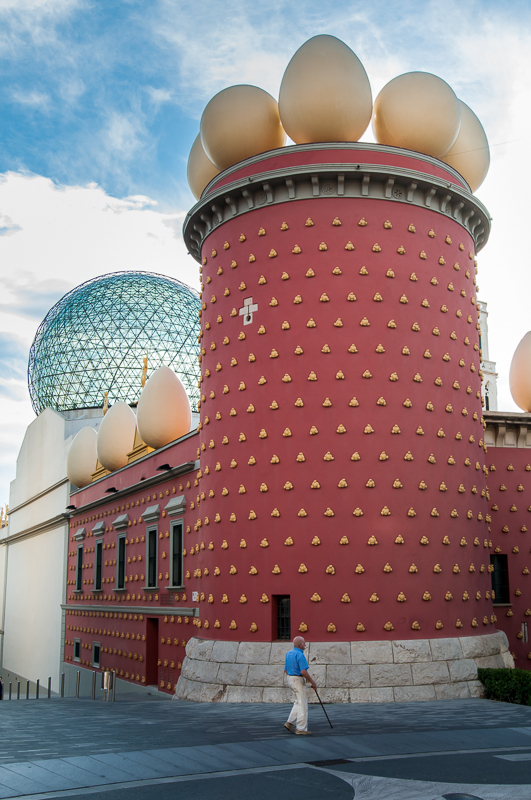 Nowhere is Dalí's legacy and life more tangible than in his Theatre-Museum in Figueres, about 45-60 minutes north of Girona. 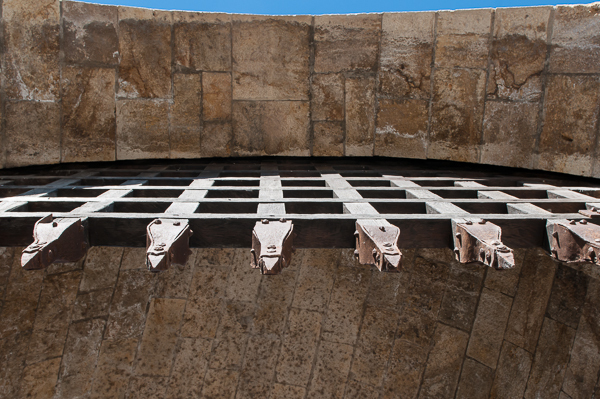 Both Dalí's burial site and a platform for his boundless creativity, the Theatre-Museum is a must see for fans of Dalí, the creative process or the realm of the outlandish. 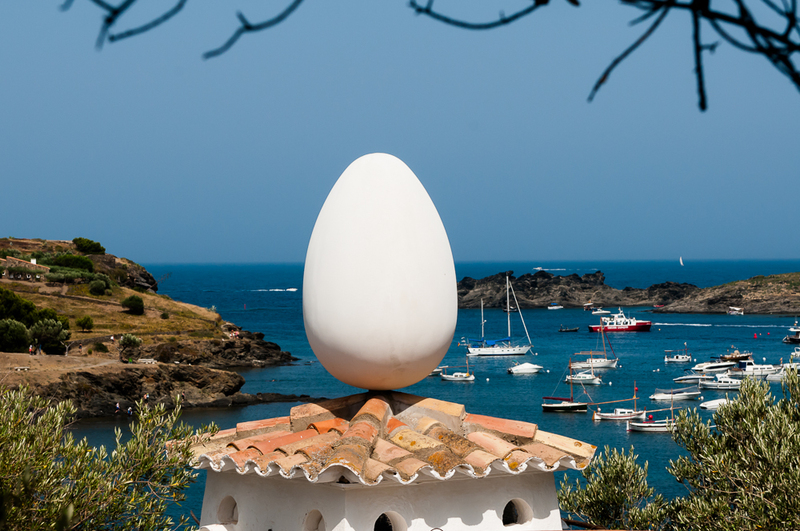 A Costa Brava tour: Beyond Girona's rolling hills and mountain vistas is a mystical coastline speckled with cozy villages and surly cliffs. 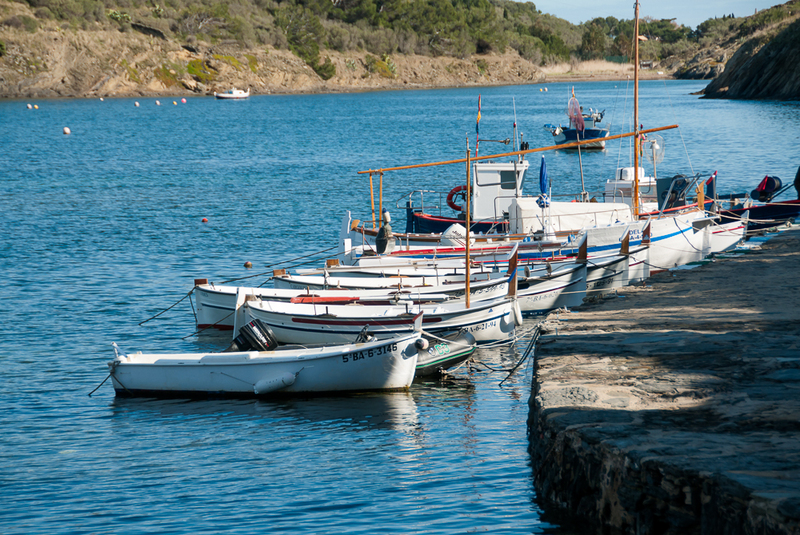 Explore the hidden beauty of the coast after a half-day tour of Girona. 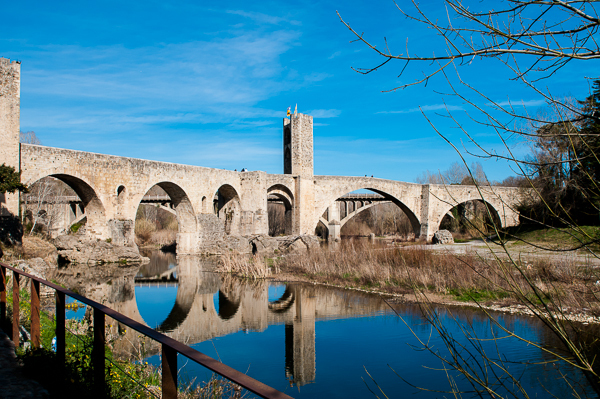 Besalú: A thousand years of history spans the Fluvia River in the form of a Romanesque bridge that acts as a grand entrance into the heart of Besalú, a small city about 25 miles northwest of Girona. 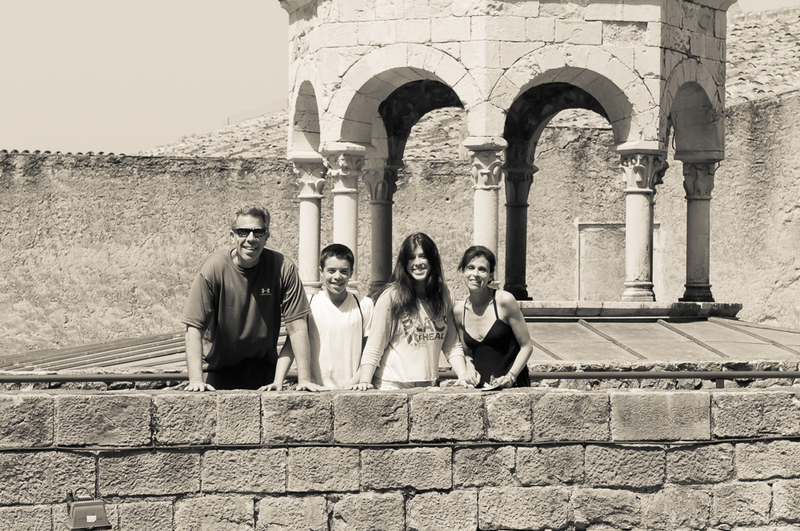 Besalú's medieval and Jewish roots mesh well with Girona's history. Welcome to the Old City. Enjoy the view from one of the many bridges that will take you back in time. 10:15 Welcome to Girona, explore the Jewish History Museum, the Jewish & Medieval quarters and Forca Vella, the city's fortress-like wall. Grab a coffee, visit a quaint local shop that catches your eye or take a break for some ice cream as you walk along cobblestone pathways at your own pace. 13:00 Enjoy a tasty lunch at a local restaurant. 15:00 Head back to Barcelona. Relax in the comfort of your private vehicle. It's ok to catch up on a little sleep...we won't mind! 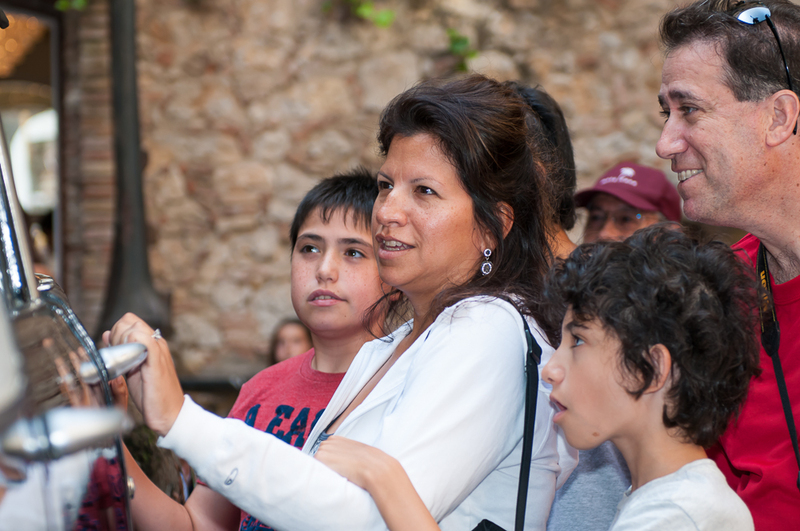 Book Now Click here to begin the booking process for your private Girona shore excursion. Note the coffee mug flower pot and the egg located in one of the many courtyards inSalvador and Gala Dali’s Costa Brava home. 10:00 Get ready to explore the surrealist world of the Dalí Theatre-Museum. 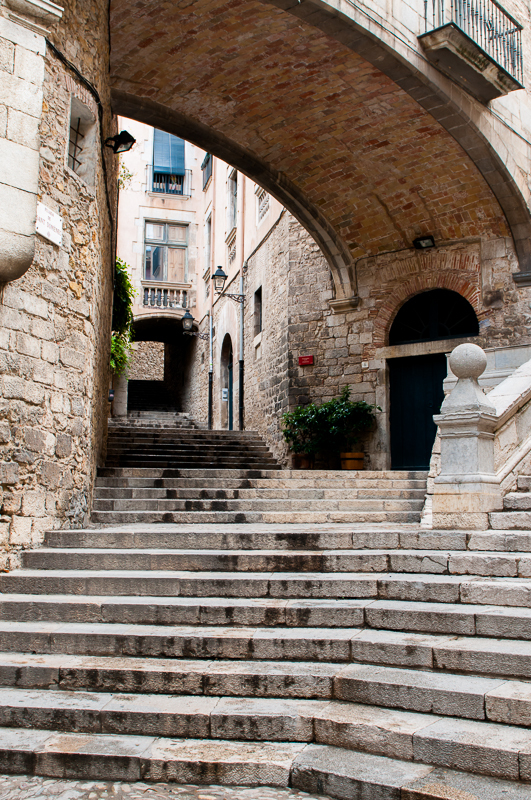 12:00 Depart for the medieval city of Girona. 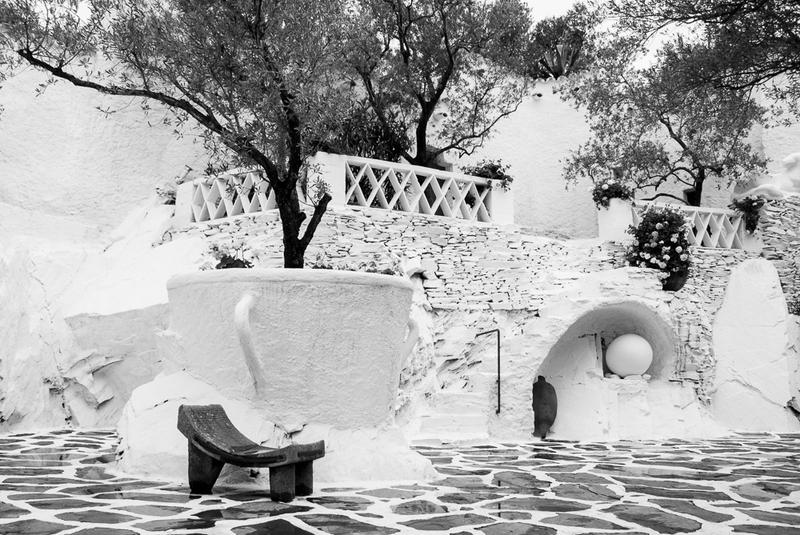 On the way, take some time to reenter the real world after your Dali experience. 13:00 Take a break at a local restaurant for a delicious lunch. 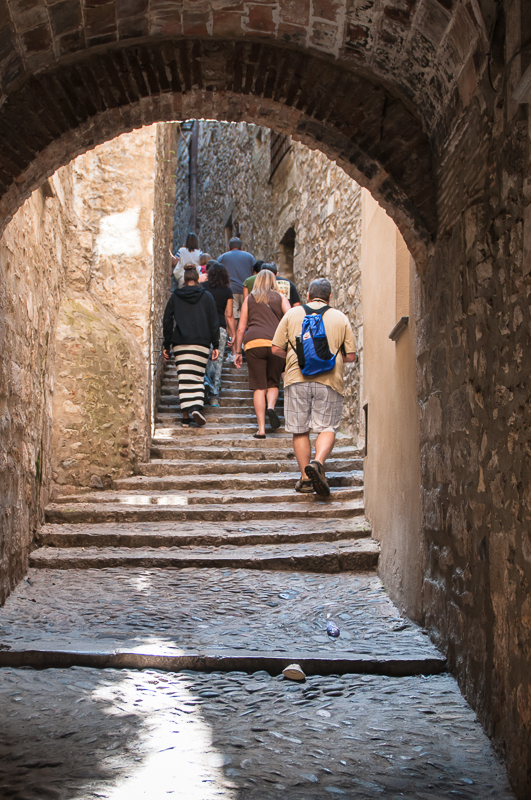 14:15 Walk off some of your lunch as you explore the Jewish & Medieval quarters or stroll along the Forca Vella, the city's fortress-like wall. 16:00 Relax in the comfort of your private vehicle as we head back to Barcelona. Dalí Theatre-Museum Entrance fee is Included in the price of the tour. 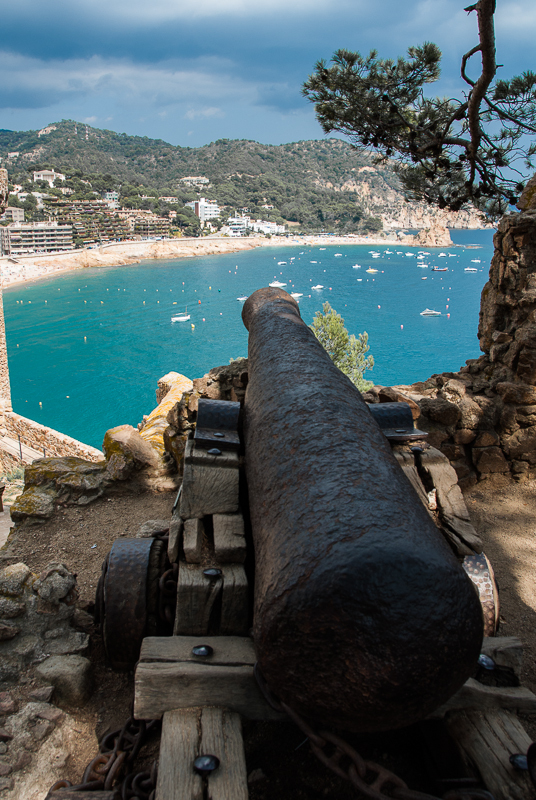 Book Now Click here to begin the booking process for your private Girona & Dali shore excursion. A view from our table as we enjoy a nice lunch in the company of the Costa Brava. 08:30 Your friendly, English-speaking guide will meet you at your hotel, apartment or cruise ship to start your adventure. 10:00 Dive into Girona. 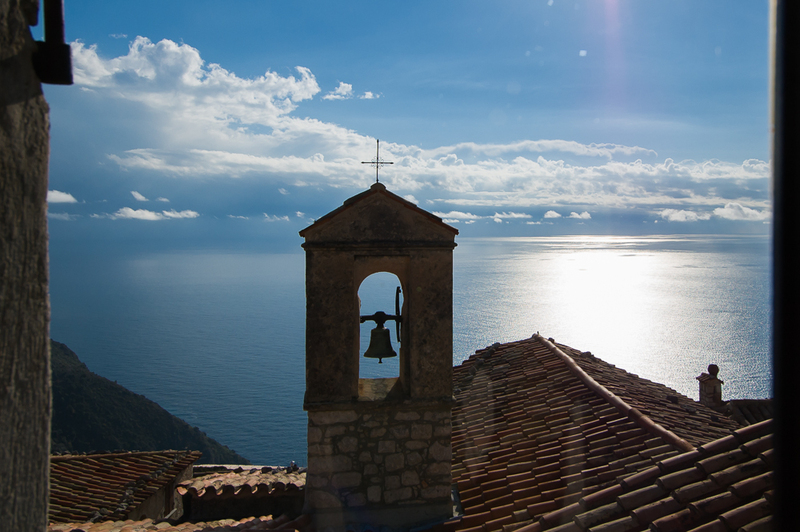 Walk the Jewish and Medieval quarters, soak up knowledge in the Museum of Jewish History, and take a stroll atop Forca Vella, the city's fortress-like wall. Recharge your batteries with a cup of coffee, a few scoops of ice cream or with a relaxing venture into a quaint shop or two. 12:00 Onward to a hidden-away Costa Brava town. 13:15 Enjoy a nice, fresh lunch by the Mediterranean. 15:30 Relax in the comfort of your private vehicle as we make our way back to Barcelona. 17:00 Welcome back to Barcelona, and an end to a great day. 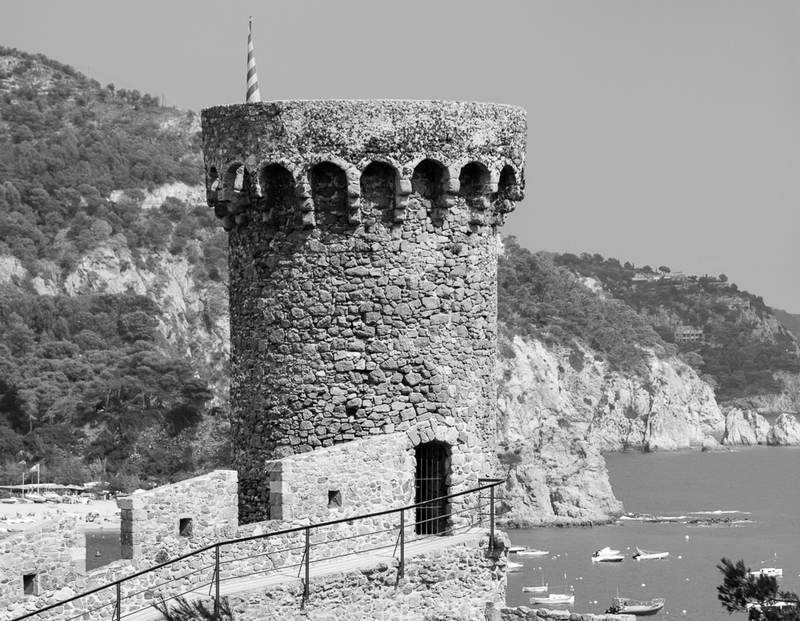 Book Now Click here to begin the booking process for your private Girona & the Costa Brava day tour. 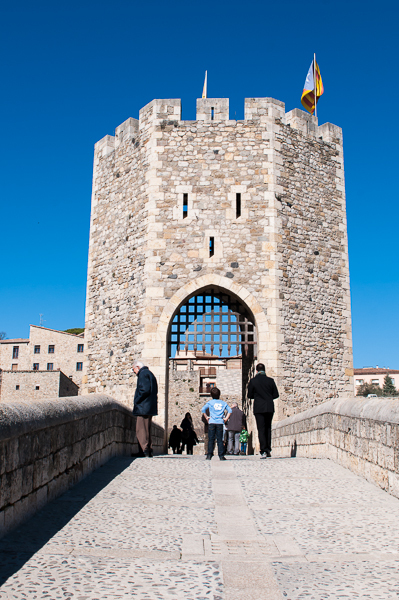 A view of the bridge just before crossing it into the village of Besalu. 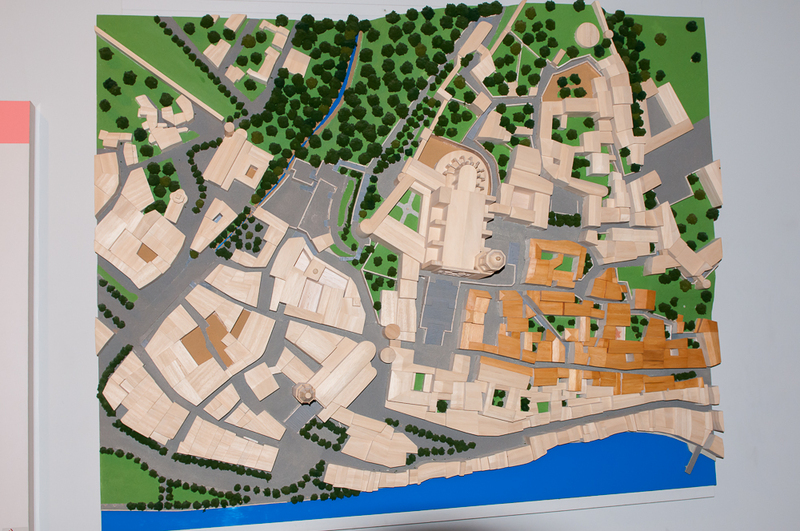 Why Besalú? Often the quaint city stands in the shadows of its bigger Catalonian cousins Barcelona, Tarragona and Girona. 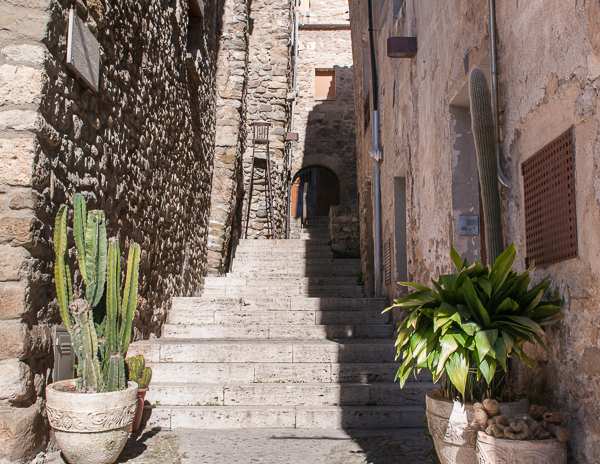 A few steps on the Romanesque bridges that spans Fluvia River and you'll know why this 10th-century hamlet is worth a visit after a morning in Girona. 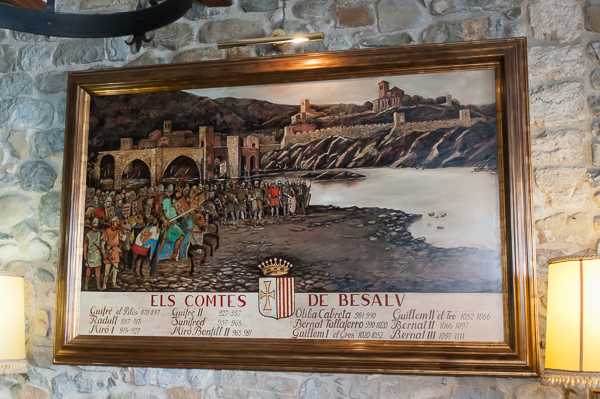 Besalú enjoyed several centuries of prosperity after the reign of Bernat I de Besalu. 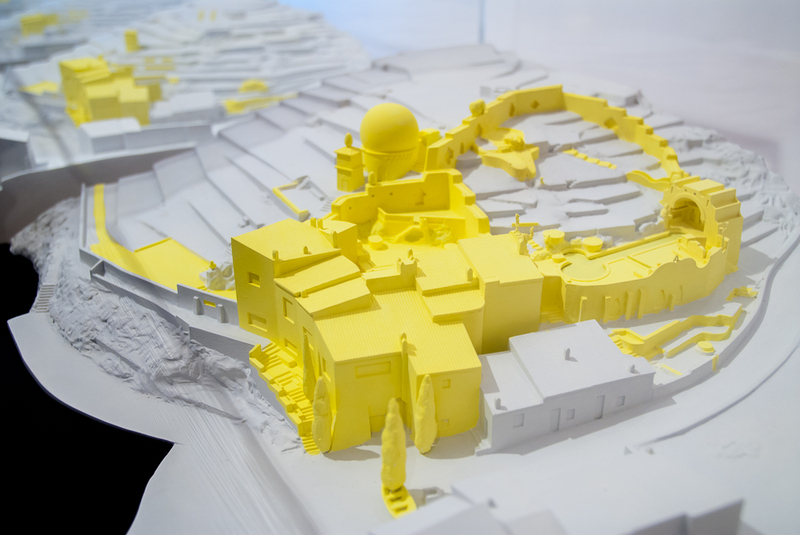 The small town rose to power in the	12th and 13th centuries, leading to a building boom responsible for many of the historical sites in the city. 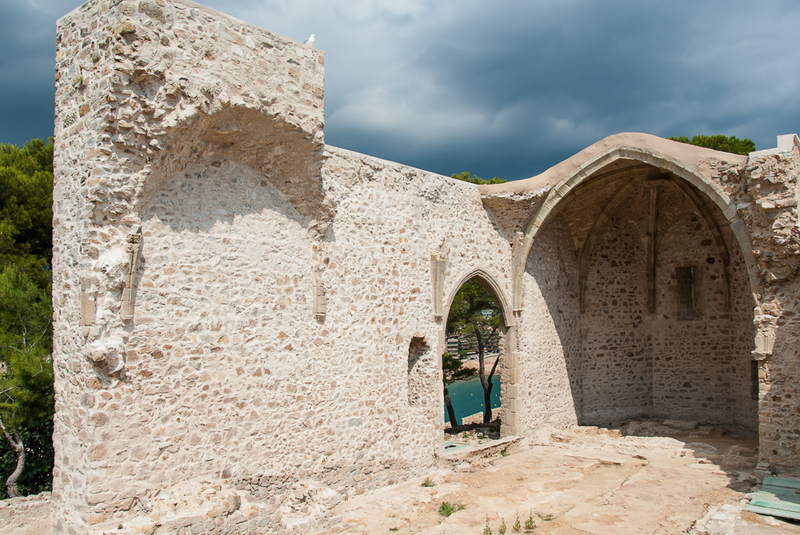 Pont Fortificat, as the bridge is known, leads you straight into the city's heart; one that beats with the remnants of a 12-century Jewish mikvah (bath), a 13th-century synagogue and a pair of Romanesque churches. -The town's first count was nicknamed Tallaferro, The Chisel. 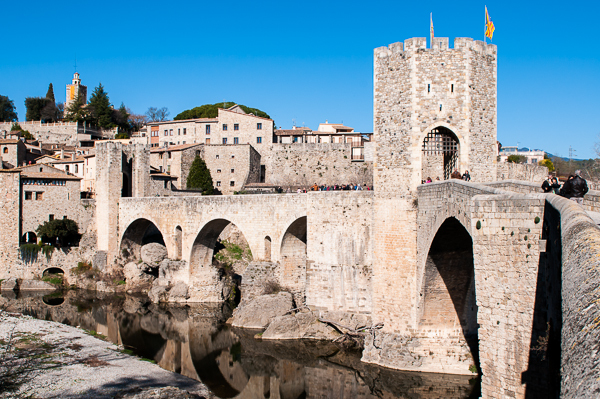 -Besalú was part of one of the most powerful counties in Spain's medieval history. 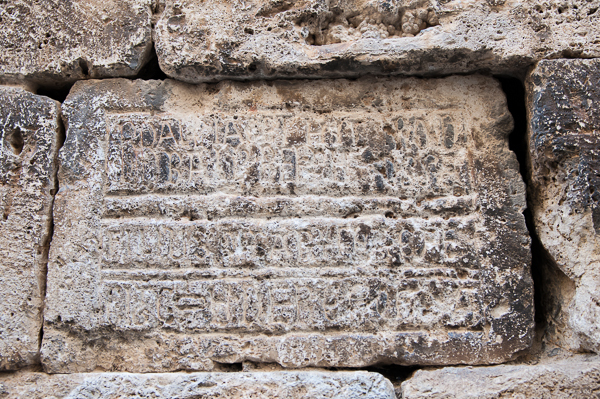 -A sea of solidified lava sits just beneath the surface of Besalú, a reminder of ancient volcanic activity in the area. 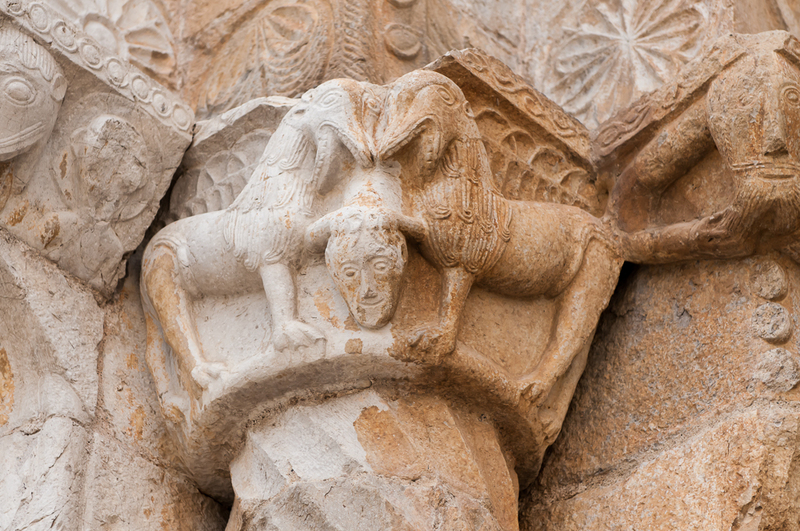 Besalú's well-preserved historical sites make it a true hidden gem of Catalonia. 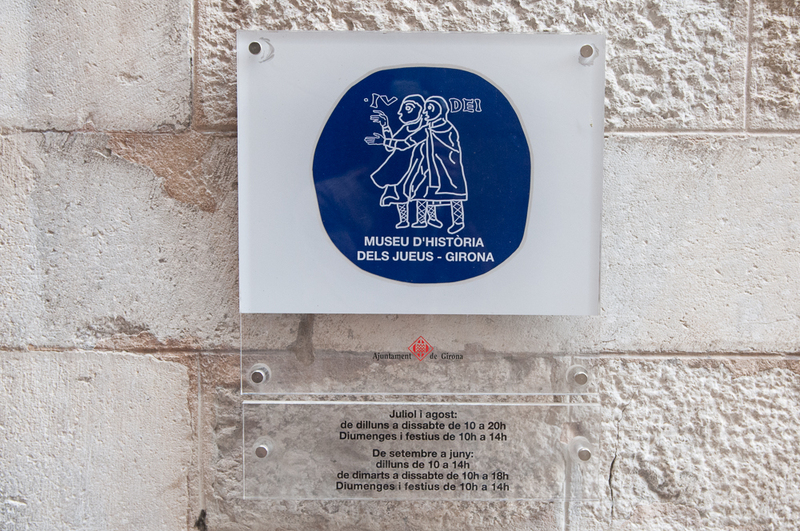 Our half-day tours cover the best of the tiny village's historical sites. 10:00 Welcome to Girona. Immerse yourself in the city's rich Jewish and medieval history as you explore its museums and streets. Soak up a panoramic view of the city atop Forca Vella. Charming shops and cafes offer your respite from your wanderings. Stop in for a coffee or "helado" (ice cream) before heading out for more history. 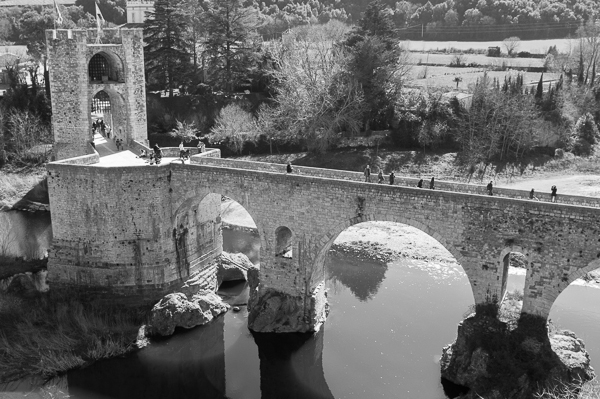 12:00 On to the Romanesque bridges that lead to the quaint village of Besalú, a hidden jewel of the Girona Province. 17:30 An end to a great day, welcome back to Barcelona. 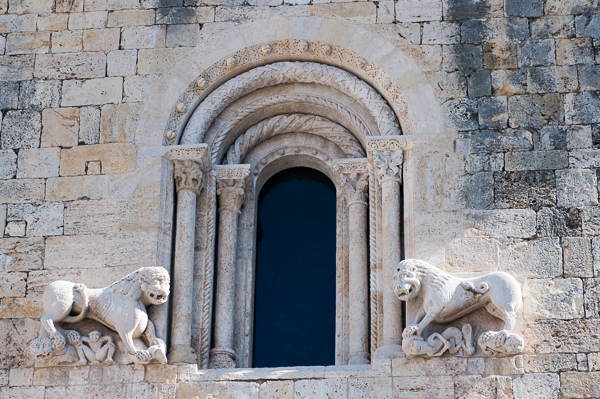 Book Now Click here to begin the booking process for your private Girona & Besalu day tour. "We have all agreed that our time in Barcelona was delightful due to your very expert and professional service. None of the tours from the ship were as enjoyable and as informative as yours."